One quarter of all people in the UK aged over 75 will develop cataracts and after the age of 50 your chances of having cataracts really begin to increase. A cataract causes damage to the eye lens and the only available treatment to restore vision damaged by cataracts is the removal of the cataract and the damaged eye lens. Cataract surgeons then replace the natural eye lens with an intraocular lens to restore vision. 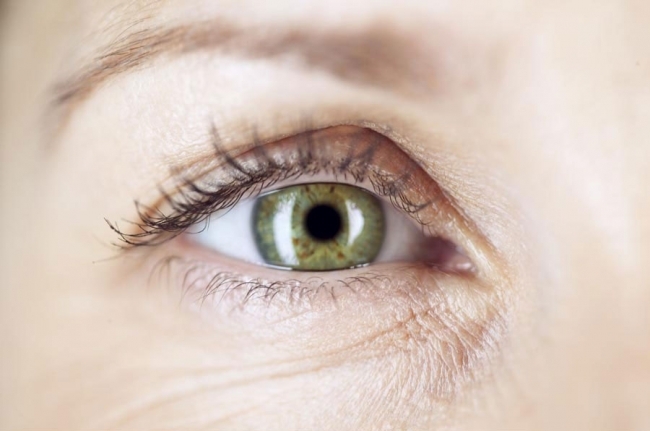 What Is a Cataract and What Causes Cataracts? A cataract damages the eye lens, distorting the way light enters the eye and causing vision to become cloudy. When the eye lens becomes clouded by a cataract, light defracts as it enters the eye, sending fractured images towards the retina. The images we see become distorted or 'cloudy'. Cataracts are caused by a build up of proteins in the eye. These proteins gradually clump together and damage the eye lens. The longer a cataract is left untreated the more proteins that cloud the lens and the more damaged vision becomes. Cataracts area common problem for people over the age of 50 – with 1 in 4 UK patients developing a cataract in a lifetime. Cataracts develop gradually with age but can also be caused by damage to the eye or as the result of a genetic problem in the case of congenital cataracts. Different types of cataract can damage different parts of the eye lens and more than one cataract can develop at once. Cataracts commonly occur in both eyes at the same time. The most common symptoms of cataracts are blurred or cloudy vision, difficulty in seeing bright colours, seeing halos or glare around bright lights and poor night vision. Cataracts symptoms will vary according to the type of cataract. As the cataract develops, symptoms of blurred, cloudy vision will increase and vision deteriorates. How Do Cataracts Develop and Progress? Once a cataract starts to develop, the condition will get worse over time. The speed a cataract develops will vary between patients but the more advanced a cataract becomes the more damage is caused to eye sight. Cataracts must be diagnosed by a qualified eye doctor. The symptoms of cataract may be similar to those of another eye condition and it is important patients have a consultation with an eye clinic before booking cataract operations online. To diagnose a cataract the opthalmologist will perform a series of eye tests: a visual acuity test, pupil dilation test and a tonometry test. These tests can diagnose a cataract in the very early stages of cataract development which is why regular eye tests are strongly recommended, especially for people aged over 65. To read more about the tests performed to diagnose a cataract, read this guide to cataract diagnosis. What is Recovery Like After Cataract Surgery and What Results Can I Expect? Cataract surgery is performed as an outpatient operation. The surgery is complete within one hour and patients are able to return home the same day. Immediately after cataract surgery, vision will be blurred due to the eye drops used to dilate and numb the eye for surgery. Patients are generally prescribed eye drops to protect the eye from infection as it heals and the new replacement lens settles in the eye. It is important that patients try to avoid irritating the eye until fully healed and wearing an eye patch while sleeping can prevent rubbing the eye and causing a problem. The recovery from cataract surgery is fast – most patients feel only a slight ache in the eye for one-two days post-surgery. The results of cataract surgery are excellent with 95% of patients reporting an immediate improvement in their sight. Patients can expect an end to blurred vision, annoying glare and halos from bright lights and an improvement in night vision. As one of the most commonly performed eye procedures, cataract surgery enjoys a very low complication rate and the surgical risks are low. However, as with all surgery it’s important to understand the risks and complications surrounding cataract surgery to help you make appropriate arrangements for the recovery period. Will you be able to see or feel anything during cataract surgery? How long will the new lens last? You can find the answers to the most often asked questions about cataracts and cataract surgery by visiting our cataract FAQ page.